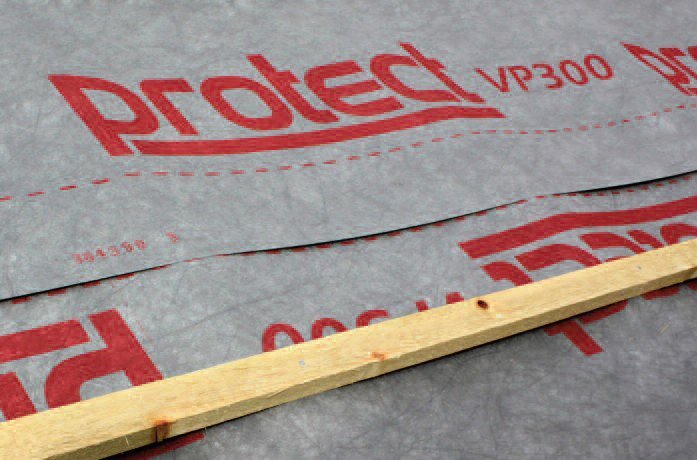 The Protect VP300 Roofing Underlay is available in 50 square metre or 75 square metre rolls. 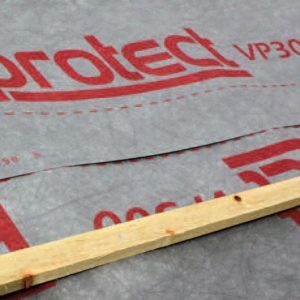 It is a medium weight vapour permeable roof underlay, the VP300’s vapour resistance exceeds the level required by BS 5250 and also has a higher strength than many other underlays in its class. 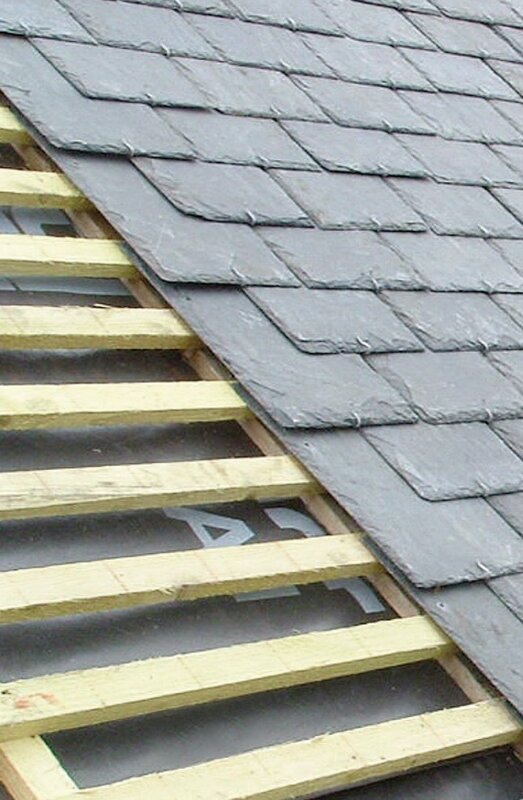 Suitable for all pitched roofs particularly fully supported applications. Protect VP300 is CE marked and certified by BM TRADA . 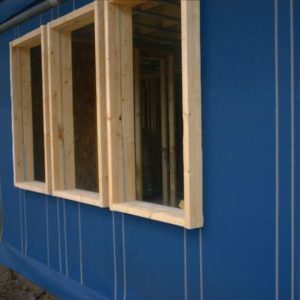 It provides a cost effective solution when higher specified roof underlays are not required. before the slates or tiles are applied. Embossed grey upper and white lower surface. Printed with product branding for ease of identification. 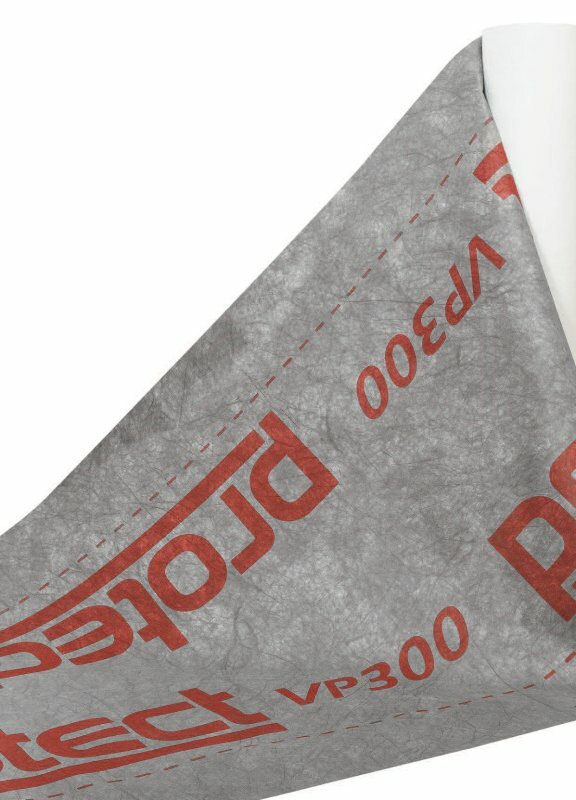 As with all vapour-permeable underlays, this product should not be laid in direct contact with un-dried timber preservatives. This applies to both water and solvent based preservatives. Protect OFV Eaves Skirt should be used at all gutter details. MD = machine direction (along roll), CD = cross direction (across roll). UV and heat ageing conditions: UVA lamps at 50°C for 336 hours followed by heat ageing at 70°C for 90 days.